*Acarbose was statistically significantly different from placebo at all doses with respect to effect on one‑hour postprandial plasma glucose. Although studies utilized a maximum dose of up to 300 mg t.i.d., the maximum recommended dose for patients ≤ 60 kg is 50 mg t.i.d. ; the maximum recommended dose for patients > 60 kg is 100 mg t.i.d. Although studies utilized a maximum dose of up to 300 mg t.i.d., the maximum recommended dose for patients ≤60 kg is 50 mg t.i.d. ; the maximum recommended dose for patients >60 kg is 100 mg t.i.d. 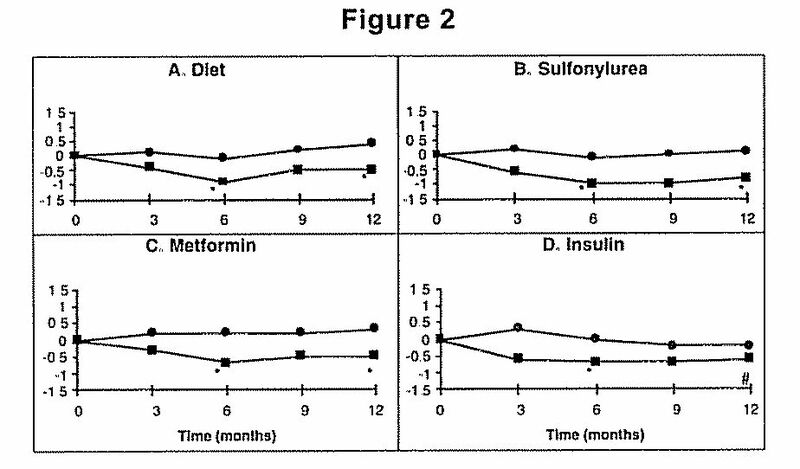 Figure 2: Effects of acarbose (■) and placebo (●) on mean change in HbA1c levels from baseline throughout a one-year study in patients with type 2 diabetes mellitus when used in combination with: (A) diet alone; (B) sulfonylurea; (C) metformin; or (D) insulin. Treatment differences at 6 and 12 months were tested: *p<0.01; # p=0.077. In long-term studies (up to 12 months, and including acarbose doses up to 300 mg t.i.d.) conducted in the United States, treatment-emergent elevations of serum transaminases (AST and/or ALT) above the upper limit of normal (ULN), greater than 1.8 times the ULN, and greater than 3 times the ULN occurred in 14%, 6%, and 3%, respectively, of acarbose-treated patients as compared to 7%, 2% and 1%, respectively, of placebo-treated patients. Although these differences between treatments were statistically significant, these elevations were asymptomatic, reversible, more common in females, and, in general, were not associated with other evidence of liver dysfunction. In addition, these serum transaminase elevations appeared to be dose related. In US studies including acarbose doses up to the maximum approved dose of 100 mg t.i.d., treatment-emergent elevations of AST and/or ALT at any level of severity were similar between acarbose-treated patients and placebo-treated patients (p ≥ 0.496). Plasma concentrations of acarbose in renally impaired volunteers were proportionally increased relative to the degree of renal dysfunction. Long‑term clinical trials in diabetic patients with significant renal dysfunction (serum creatinine > 2 mg/dL) have not been conducted. Therefore, treatment of these patients with acarbose is not recommended. 25 mg tablets are supplied as round, white to off-white, biconvex tablets, debossed with product identification “54” over “311” on one side and plain on the other side. 50 mg tablets are supplied as round, white to off-white, biconvex tablets, debossed with product identification “54” over “737” on one side and plain on the other side. 100 mg tablets are supplied as round, white to off-white, biconvex tablets, debossed with product identification “54” over “251” on one side and plain on the other side.